Glycomet gp1 price india Fast fashion brand H&M to open at Express Avenue next week. The most anticipated fashion event on Chennaiai??i? ?s sartorial calendar this year is finally within sight. Global fast fashion brand, H&M, will open its doors in the city next Saturday, almost a year after their celeb-studded India launch in New Delhiai??i? ?s Select Citiwalk. The first H&M store here and the countryai??i? ?s twelfth will be spread over two floors encompassing a space of more than 34,000 square feet. The brandai??i? ?s India spokesperson and PR head, Dhatri Bhatt, tells us, ai?? ?Besides the timeless basics, the store will also have H&M+, which is current fashion in larger sizes, H&Mai??i? ?s maternity line, Mama, and fashionable athletic wear, H&M Sport.ai??? The brand, which is sought the world over for its trendy, high-quality apparel for men, women, teenagers and children, is a big draw for its prices, too, which are more accessible than its counterparts. Chennaiai??i? ?s fashion-forward are no strangers to fast fashion with Zara, Gap, Forever 21, Vero Moda, Mango and even Marks & Spencer having already opened in the city as far back as 2008. For those who are wondering why the Swedish retail giant delayed their entry, country head Janne Einolaai??i? ?s explanation of the brandai??i? ?s stand (at the countryai??i? ?s first store launch) should answer that. ai?? ?We are in India for the long term. We are looking at many options currently and we will open only when we get the right location. This has been our establishment principal since 1947,ai??? he says. 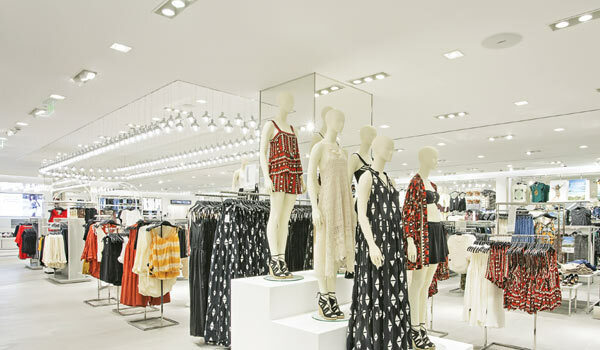 It is heartening to know that H&M advocates sustainability in fashion. You can see it in the garments with the H&M Conscious label, which are fashion basics in all departments, as well as collections with high fashion content made from environmentally-smarter materials (such as organic and recycled cotton, recycled polyester and recycled wool, organic hemp and TencelAi??4). ai?? ?Sustainability is an integral part of everything we do and we are committed to changing the way we make, use and dispose our clothes,ai??? affirms Bhatt. Shoppers can expect the latest autumn line, sold globally, at H&M. We liked the quirky printed tees and formal work shirts for men, and the floral printed dresses, ruffled shirts and bow-tie blouses for ladies. But we are a tad disappointed that the brandai??i? ?s famous designer collaborationsai??i? ?the latest is a limited line with couture favourites Kenzoai??i? ?will not be available in Chennai just now.